Students will be receiving a reading log each month, beginning in September. There is a blank log on our website. They should use their log to keep track of all of the reading (books, magazines, etc.) that they do in one month. Monthly reading logs should be kept in the student’s reading folder and they will be checked periodically to note your child’s progress throughout the month. Students should be reading books appropriate for his/her reading level. Children who are capable of reading more challenging books should be encouraged to do so. Students will also be required to indicate the genre of the book read. For example, is the book a fairy tale, a legend, drama, historical fiction, realistic fiction, a biography? On the log, they must first write whether the book is fiction or non-fiction and then indicate the specific genre. 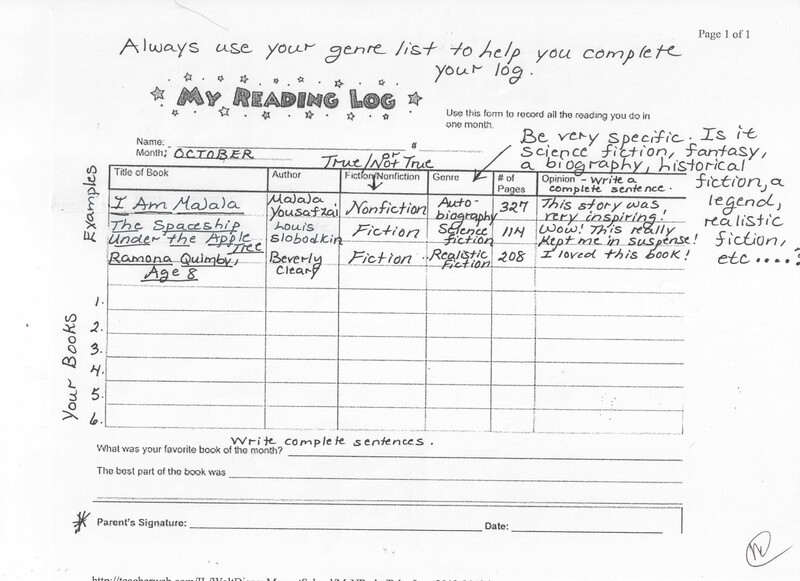 Please see the specific directions on the Reading log. We will be learning about and discussing a variety of genres in reading so your child will master the various types. They will need to know genres for the standardized tests. Students will be bringing home information discussing the characteristics of each genre type. Please emphasize to your child that he/she MUST keep track of all handouts distributed in class. 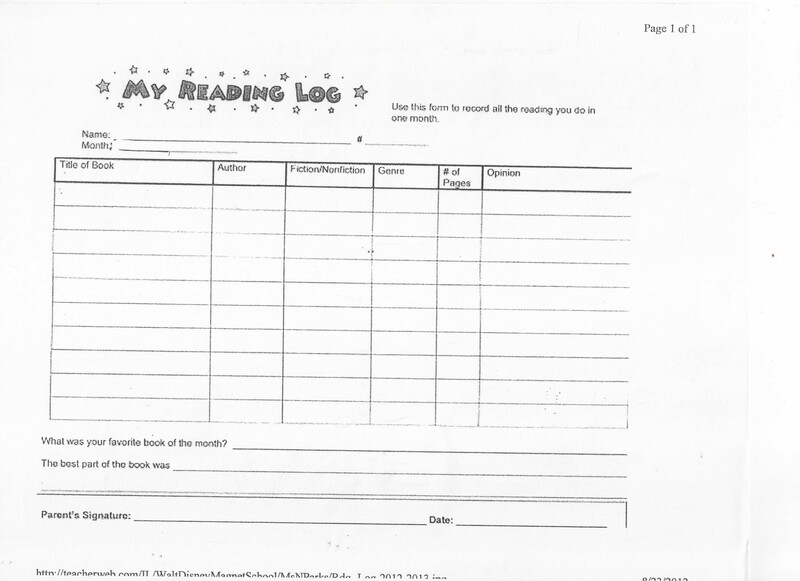 Reading logs will be collected at the end of the month and must be signed by a parent or guardian. Students will receive a grade for their logs. Logs without signatures or incomplete logs will not be accepted and will be returned to your child. Late reading logs will be lowered 1 letter grade. The number of books read by your child each month is also recorded on the report card quarterly. Please let me know if you have any questions.